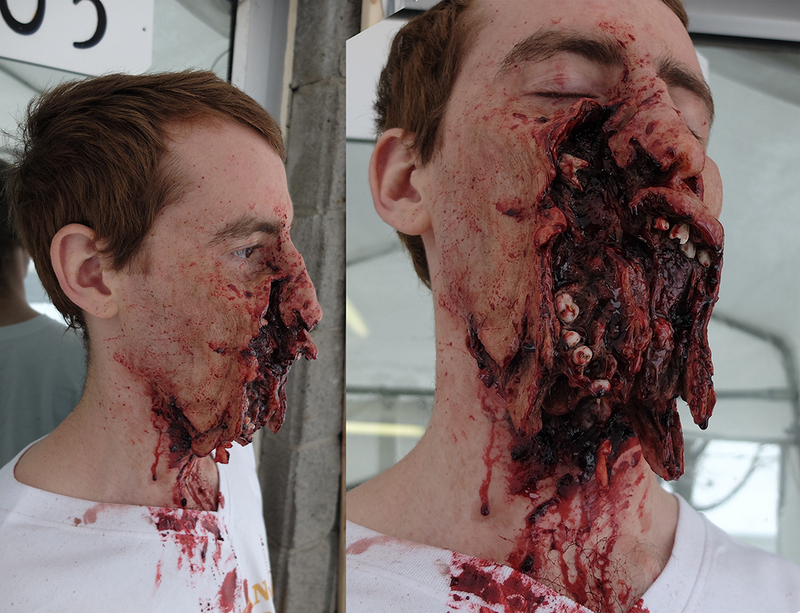 One of the most gruesome make-ups we have done for the French movie ‘La Peur’ , directed by Damien Odoul was of this soldier who was shot in the face. It is actually based on the 1914-1918 World War references supplied to us by production. In real life, the soldier did not die from this injury.